The Novel By L. N. Tolstoy's "War and peace" has become one of the most famous works not only domestic but also world literature. Recreating a large-scale pattern of events from which in the early nineteenth century shook Europe, the author was able at the same time masterfully conveying the experiences of his characters, draw vivid imagery and the tragic fate of the representatives of the people. To achieve this effect, Tolstoy took several years of hard work. The first evidence that allows us to speak about the beginning of the work of Leo Tolstoy on his most famous novel, refers to September 1863. 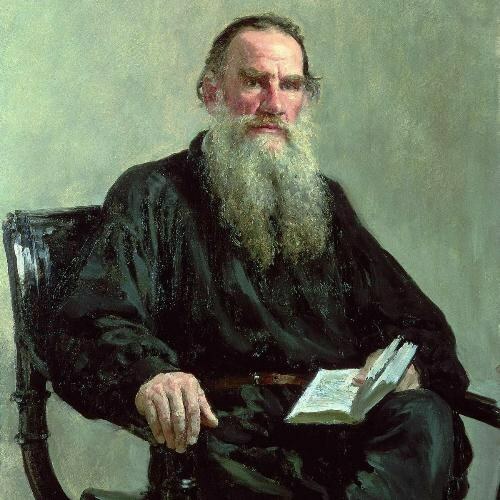 In a letter to father Sofia Andreevna, the wife of the writer, the researchers found mention of the idea of Tolstoy to create a novel pertaining to the events of 1812. Apparently, the author discussed their ideas with loved ones. A month later he wrote one of his relatives that feels loose and ready for the work ahead. Work the writer calls the novel, which tells of the early nineteenth century. According to the letter, Tolstoy pondered the idea of the work from the beginning of autumn, giving her all the power of his soul. Tense and fascinating work on the novel "War and peace" lasted seven long years. About the history of the works can be seen in the Tolstoy archive, which survived a few thousand sheets of paper covered in small close handwriting. This archive can be seen as born and change the plan of the Creator. From the beginning Leo Tolstoy hoped to create a work about one of the participants of the December uprising, who returns home after three decades of exile in Siberia. The action was to begin in the late 50-ies, several years before the abolition of serfdom in Russia. Initially the work should have been called the "Three time", which corresponded to the stages of development of the characters. Later he revised the storyline and stopped at the era of the Decembrist uprising, and then proceeded to the description of the events of 1812 and 1805 years. According to the author, his characters had to go through all the most important event for the country. To do this he had to shift the start conceived of history half a century ago. As testified by the author himself, in the first year of the work he tried several times and again threw to create the beginning. Up to the present time preserved in half a dozen variants of the first parts of the book. Tolstoy repeatedly fell into despair and doubt, losing hope that they will be able to put into words the thoughts that I wanted to convey to the reader. In the process of creative work of Leo Tolstoy studied a countless number of factual materials, including memoirs, letters, and actual historical documents. He was able to gather a vast and extensive collection of books describing the events pertaining to the war of 1812. Leo Tolstoy personally went to the venue of the battle of Borodino, to study and to take into account in descriptions of essential details that can liven up the narrative. In Tolstoy's original plans was to draw in the form of the artwork history of the country for several decades. But in the course of writing the novel, the author decided to narrow down the time frame and focus only on the first five decades of its century. But even in this abbreviated form the book gradually evolved into epic. The result was a Grand Roman epic, which marked the beginning of a new direction in national and world prose.